Kevin Day, guitarist/vocalist of New Jersey punk band Aspiga, has announced a new solo endeavor titled Graduation Speech. 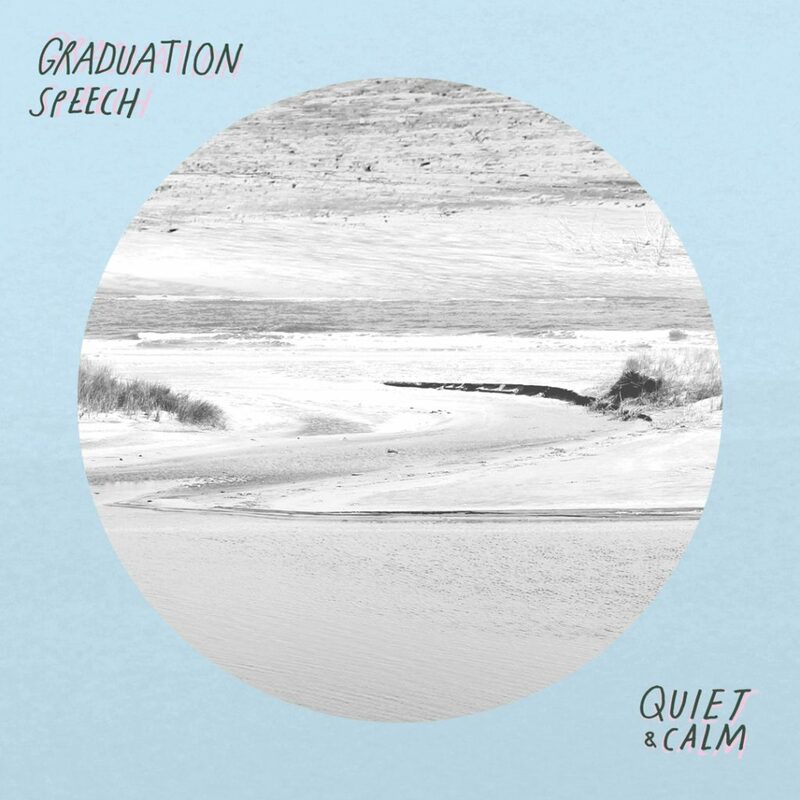 Graduation Speech will release a six song EP titled Quiet & Calm on June 30th, 2017. You can stream the debut single “Waiting” on The Key XPN. Along with the song stream, Graduation Speech has announced a weekend of record release show. You can also pre-order the EP right now from Black Numbers. Details below. Most solo projects seem to fall into one of two categories. First, there are those that resemble a simpler, stripped down version of the artist’s primary band—think John K. Samson, whose solo albums could be mistaken for Weakerthans records despite lacking the tell-tale guitar leads. Conversely, there are those projects that allow the artist to express a separate side of their musical identity than they can with their primary band—like Stephen Brodsky, who’s quirky solo songs contain mere shades of Cave In and Mutoid Man. Graduation Speech, the solo endeavor of Kevin Day (who leads pop-punk grumblers Aspiga), some how fits both categories. On the project’s debut EP Quiet & Calm, Day takes his band’s songwriting approach and extends it in a moodier, more tender direction. Certainly, Day’s unmistakeable voice—sweet, dazed, lovesick—make it easier to hear Apsiga in Graduation Speech. Combine this with the churning chords on “Aching,” the dizzy progression on “Distractions,” the gentle momentum behind “Mending,” and Day’s songs become characteristically his; drown these songs in distortion, add a ringing baseline and punchy drums, and they become Aspiga songs. In fact, Quiet & Calm is full of hopeful songs—as honest as any that Day has recorded with his primary band, but with a shinier silver lining, perhaps, and a sweeter delivery. More importantly, though, Graduation Speech manages to do what most solo projects cannot—that is, appeal to Aspiga’s fans while letting Day explore a more sentimental side of his songwriting.